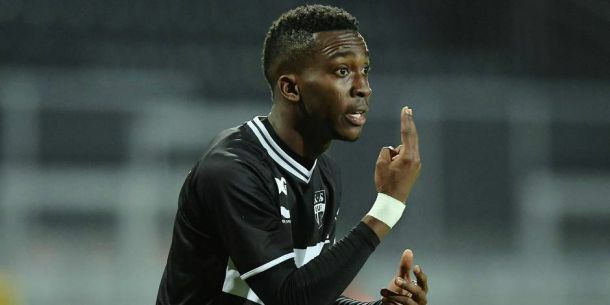 Arsenal have officially opened negotiations with Belgian club KAS Eupen over signing exciting Nigerian youngster Henry Onyekuru, according to multiple reports. The 19-year-old has been followed by a host of top European clubs this season just as he scored another two goals on Saturday night against Roselare to further impress watching scouts. West Ham United have also been linked with the Nigerian, but Onyekuru is thought to be an ardent Arsenal fan and dreams of playing for the North London side. Onyekuru is the current top scorer in the Belgian top flight with 23 goals, and top tier sides Club Brugge and Anderlecht have reportedly tabled bids, while Liverpool have also had him scouted. The striker could be lining up for Arsenal in the Europa League next season, after the Gunners failed to qualify for the Champions League for the first time in 20 years.